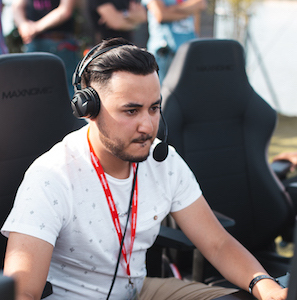 Known as one of the most accomplished French Call of Duty players of all time, Corentin “Gotaga” Houssein’s track record is the envy of pro gamers all over the world. With over 2.5M subscribers on YouTube and over 1M subscribers on Twitch, the “French Monster” has proven himself to be one of the most passionate and entertaining players coming out of Europe. Not only is Gotaga the number one French streamer, he consistently ranks in the Top 5 World Streamer Rankings. 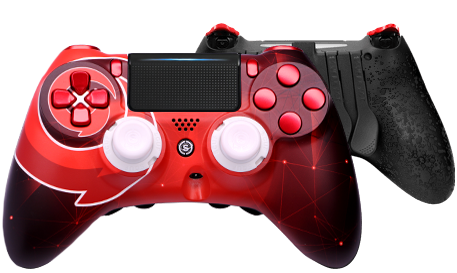 The new Gotaga controller features the player's iconic red and white colors, as well as his signature double-keyed logo. Available for the IMPACT, the Gotaga SCUF is equipped with the patented SCUF technology utilized by over 90% of all pro gamers. Take your game to the next level with the SCUF IMPACT controllers. Change thumbstick length & shape, adjust triggers and remap paddle configurations for your play style. Every SCUF controller is handcrafted & customized to specification. Customized by you. Handcrafted by us.